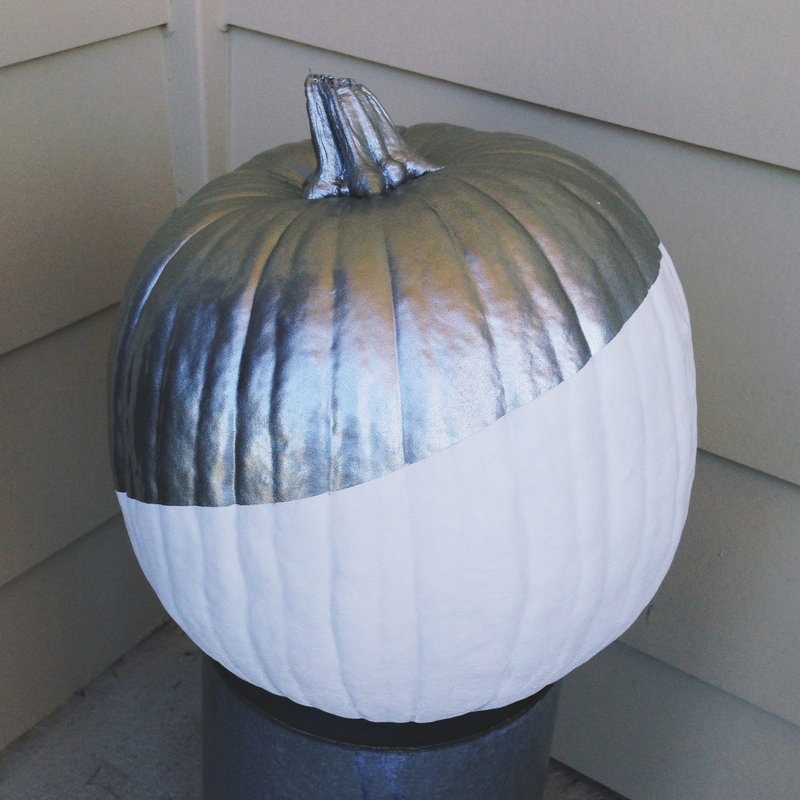 Silver mercury glass pumpkins and natural white pumpkins are my favorites! I decided to do something of a combination of the two when I painted this pumpkin. You can use this easy method, in whatever color scheme you like, to add some modern flair to your Fall decor. Fall and DIY projects, what could be better? Start by choosing a pumpkin! I knew that I wanted to use my pumpkin for a painting project, so it didn’t have to be anything special, I picked this one up at Walmart for $5. I would suggest buying a plastic pumpkin for this project if you’re planning to paint intricate details, so you can use this pumpkin for years to come! 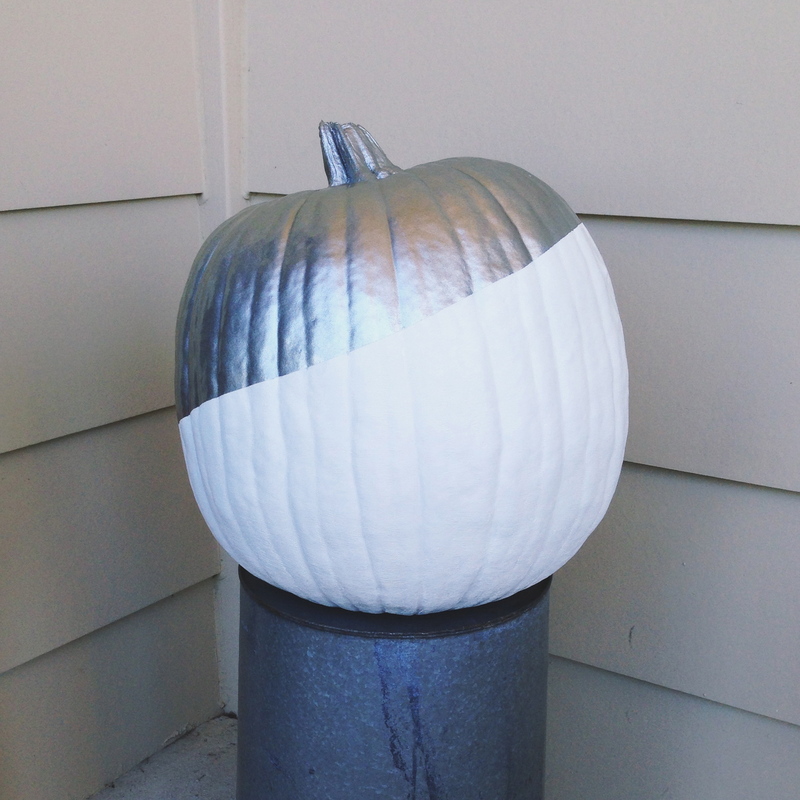 I’m keeping my pumpkin inside the house but if you’re planning to put your pumpkins outside as decor, use spray paint that can withstand the elements! 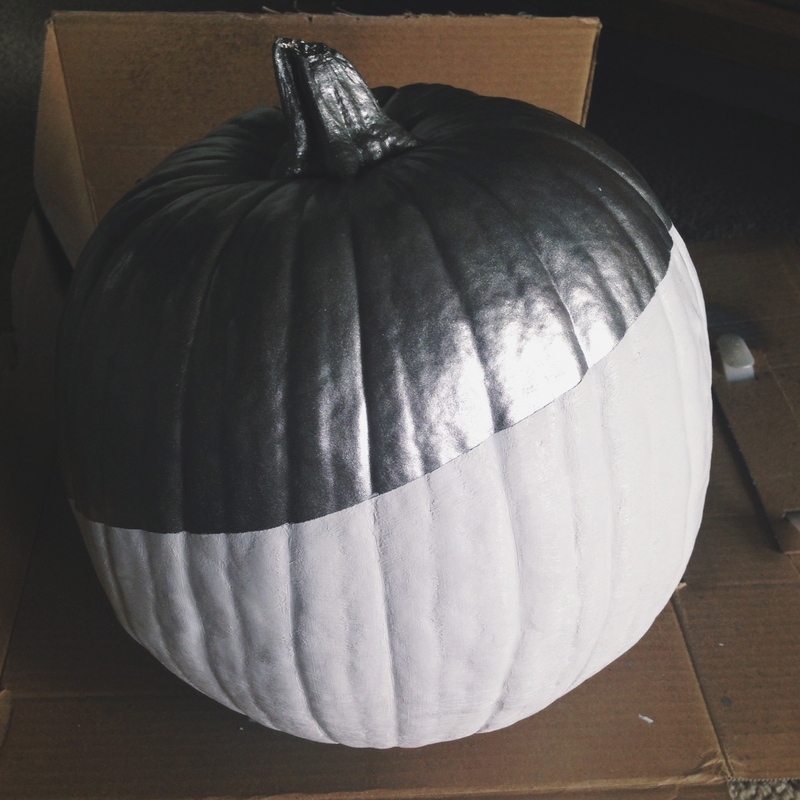 I started by painting the entire pumpkin in silver spray paint. It took quite a few coats of paint to keep the orange from showing through, I allowed drying time between each coat of paint. I then let the paint dry overnight. I used painter’s tape to create a really clean line over the silver paint. 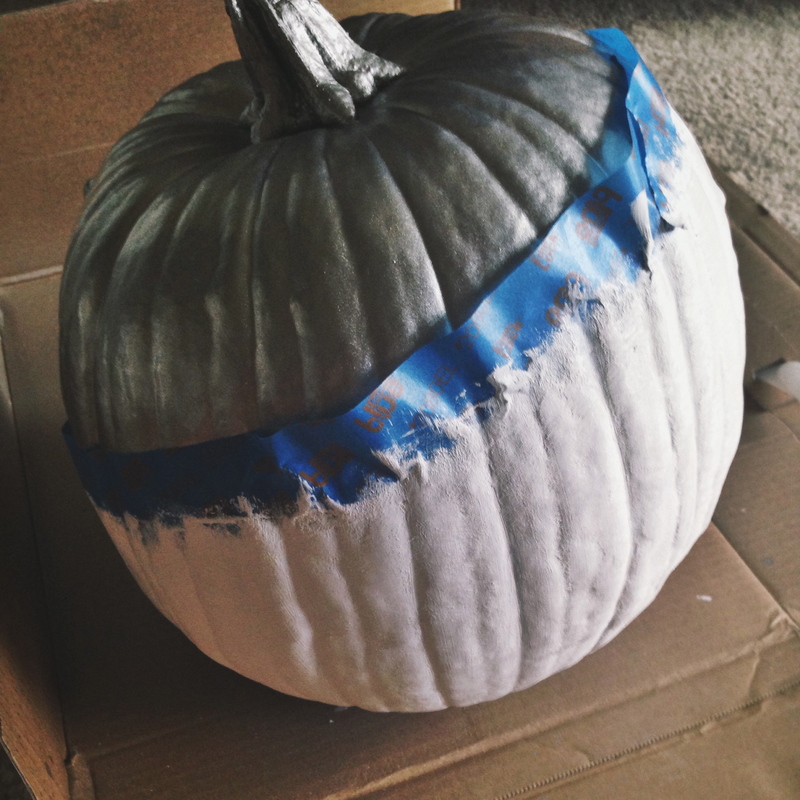 I pressed down the edge of the tape to create a good seal, but pressing the whole piece of tape into the pumpkin isn’t necessary (and can cause the paint to pull away when removing it). I painted very lightly over the tape to help prevent the paint from seeping under the tape. Once again, it took several coats to cover the pumpkin. After my last coat of paint, before the paint could dry, I pulled the tape away very slowly. Have fun with it! Pumpkins are a great canvas for artwork, there are really so many options (and it’s also a fun project for kids)! I love this! While I do like chevrons and all that, this is a cool take on it. Can I say, I’m seriously thrilled with all the Autumn decoration posts going up right now. Nothing gets me in a good mood quite like pumpkins everywhere! Yes, I love this time of the year as we transition into Fall, it’s so perfect!